Adrian Sudbury was a reporter for both the Huddersfield Express and Chronicle Series and the Huddersfield Examiner. In November 2006 the 25-year-old was promoted to digital journalist, effectively editing the new-look Examiner website. Just two days into his new role he became seriously ill and called in sick. A week later he drove himself to A&E and was eventually diagnosed with leukaemia. It was then identified that he actually had two distinct types of the disease running at the same time. According to the medical literature he was the only person in the world to have this condition. As such, it was not possible to offer Adrian a prognosis. Here he shared his experiences of the disease and his treatment up until his passing. It's time to update everyone on the campaign. My call again is to introduce a talk to all second year 6th form students about blood, bone marrow and organ donation. That age is key because our young adults can make an informed decision about whether this is something they would like to help out with. I'm in the media and let's face it - this is what happens at the moment. A pretty toddler needs a match, or some ugly bugger like me hits the headlines, and maybe a couple of hundred people join the bone marrow register or donate blood - but then the issue fades. As we have all recently learnt there are over 16,000 people worldwide waiting for a bone marrow transplant. Without one they will die. This campaign will change all that because I am convinced a steady stream of young adults will decide that donation, of all kinds, is something they want to be a part of. Health Secretary Alan Johnson and Education Secretary Ed Balls, sent a joint letter to me announcing that this talk will be rolled out nationally from September - but only for 14 to 15-year-olds. But my message to the Government is please do not do this half-arsed. A second talk has to be part of the 6th form curriculum when people can choose to become donors if they so wish. Please click here to sign sign the petition, spread it far and wide, and let's all keep the pressure up. I have always felt strongly about this but now I can't let it go. I'm not one for Bob Geldolf style ranting but please indulge me for the next few sentences. How many times do we hear in the media that Britain is looking at adopting the Scandinavian model for such and such, the American system for that, the Australian model for the other? Here we have a chance to have the best educated young adults in the world about donation through two very simple talks. For once Britain could be a world leader in this and for once other countries will look upon us with envious eyes. As you can see from our Prime Minister this is now a "priority" for the Department of Health. The scheme that will be rolled out from September is called Give and Let Live. It was being piloted at a number of schools when I met Mr Johnson so I don't think our campaign has had any effect on this. It may of course helped speed up matters. I think this is excellent news and I really am pleased with how receptive the Government has been. Give and Let Live could quite easily be expanded, through the citizenship scheme, into 6th forms too. All it needs to be is revamped and put into a more adult context. I imagine it as more of a discussion, something that many people at that age would really engage with. In response to the campaign I have been overwhelmed by not only the level of support for this, but also the huge number of organisations that are willing to help out. So there are people to lead these discussions, materials in place albeit for a younger audience and the costs will be minimal. I can see no reason why this can't happen. As I've said before this is not about forcing people to do anything they don't want. It's about giving our future generations the ability to make an educated an informed choice. I've learnt so much about bone marrow and blood donation. For example, if you are gay you are not allowed in the UK to donate blood. That's a decision I disagree with - I would sooner have the blood from a monogamous homosexual than a promiscuous heterosexual any day - but that's a different issue. But if you are gay you CAN join a bone marrow register through the Anthony Nolan Trust. As pointed out by reader Yvette Price-Mear in the UK we have two different donor registers. The Anthony Nolan Trust accept people from 18 to 40. The one through the national blood service, just ask the next time you give blood, runs from 18 to 49. When I used to give blood I thought it was only going to be used in Accident and Emergency or maybe surgery. Blood is used throughout hospital departments- I must have received in excess of 60 bags of blood throughout my treatment - 'grateful' does not not even begin to justify this kindness. People think bone marrow donation is horrific and it is not. Just how much confusion is out there on these matters? I say again, all this misinformation could be changed by two talks to our young adults. One at 14/15 - brilliant. But it HAS to be revisited at 17/18. Two talks, minimal cost and a transformation of how people think about donating. Please Prime Minister, Mr Johnson and Mr Balls - do not fudge this dying man's wish. In other news the campaign has received cross-party support. Liberal Democrat leader Nick Clegg, who also happens to be a Sheffield MP, said: "It is extremely important to raise public awareness about bone marrow donation. We must do all we can to ensure people know the potential of bone marrow donation for saving lives.â? Conservative Shadow Health Secretary Andrew Lansley said: "Adrian Sudbury has shown extraordinary courage throughout his campaign. I fully support his aim to raise awareness about bone marrow donations. As many people as possible should be encouraged to sign up for the register on a voluntary basis, if they are in a position to do so". Health-wise it was platelets today, a lot of sleeping, and a random bit of vomiting. What was particularly unpleasant was that as I was sick the force was such that it felt like my eyeballs were going to burst. Spots of blood appeared on my eyelids and I can just about see correctly now. Ranting and stuff over let's get to the interesting bit. Tomorrow at around 10am GMT (Tuesday June 17) I'm going back on 5Live (a national radio station) to speak with the host Victoria Derbyshire and England football legend Gary Lineker. He is a true gentleman of the sport and I believe never picked up a booking in his professional career. The best legs in football? I will always remember the last time I cried at a football match. I was nine and England lost to West Germany in the Italia '90 world cup. Lineker was outstanding in the tournament. Anyway, he is interested in the campaign because his son suffered with leukaemia as a child. Thankfully he got through it, but I'm sure the former England striker will have lots to say on the subject and will lend a lot of weight to what I hope to achieve. Listen out for any amusing Bob Geldolf style rants from me. You can hear it live on the internet but if you miss it we will try and stick on the audio later tomorrow. Click here to download Adrian Sudbury being interviewed on BBC Radio 5Live speaking with the host Victoria Derbyshire and England football legend Gary Lineker about Leukeamia and Bone Marrow Donation. This audio was provided by the BBC. My goodness...as usual, your bravery and strength make my heart swell with respect. Have a great week, Adrian! You continue to amaze me with your words and spirit. Know that you are thought of daily here in the States. Your campaign is exactly what we need in every country. Stay strong ! I know I keep saying it but if you get your way with the donor registry, the world will benefit. It will give other countries a standard to live up to. We could implement the same programs here in Canada. A friend of my family had leukemia 15 years ago and found his donor in England because no one matched in Canada or the USA. He lives a normal life now. Your work will give so many more people a chance. Great links! Thanks for sharing it. Thank you so much for posting the information on the Anthony Nolan Trust. As a monogamous gay man it has annoyed me for years that I am no longer considered a suitable blood donor - having given blood many times from being a student to 'coming out'. I will most definitely register through them as a potential bone marrow donor - it is the very least that I feel I can do in response to your excellent campaign. I wish you all the very best in your 'fight' to get this on the national curiculum! Fantastic that you are now receiving support from politicians too! I'm popping down to become a blood donor this week; as far as bone marrow donation goes I need to wait until my youngest stops feeding from me, shouldn't be long now. I'm no longer scared of donation and that is partly what your campaign is all about, thank you Adrian. I have just heard you on 5Live and had to find out all i could about you - i will be going back and reading your blogs. Bone Marrow donation is something i have recently heard a lot about, primarily through the story of Evan Cousineau, a boy from California. I was very excited to join the registry last month at university and have now signed your petition. i will try get as many people as i can to sign. I hope the platelets will give you a boost - what a great effect they can have. Well done on your wonderful work for this cause. I WILL SEND THE AUDIO OF TEH INTERVIEW ACROSS SOON SO EVERYONE CAN HAVE A LISTEN. THANK YOU SO MUCH TO EVERYONE WHO HAS SPONSORED ME AND MY TEAM FOR THE LONDON HALF MARATHON IN OCTOBER. Just heard you and great football legend, Gary Lineker on 5 live. As usual, you got your point across with great clarity and passion! 17/18 is much better age for the discussion because they are of an age where they can actually sign up on the Bone Marrow register and have started thinking more as adults and how they can make a difference to the world and have started formulating their own opinions. As the mother of a 19, 17 and 15 year old I have experience of how their thinking and attitude changes through these teen years, although mine have altered view points due to Dan (17) being the one with leukaemia. However, my daughter's and sons friends are all aware of what leukaemia is like and have all passionately raised money.By the 5th month of Dan's diagnosis,kids from both schools had raised over £10,000 for Teen Cancer Trust. It has been like a ripple on a pond. These kids are emotional and passionate, they are at an age where they have the energy and time to make a difference and want to make a difference. Wishing you so much good luck with your continuing campaign! Signed the petition a while back - anything else that I can do? Can't register as a donor yet as I'm in Trinidad but will do the very next time I'm in the UK! Just wanted to let you know that I'm going to do my bit. I already attempted to put myself onto the Anthony Nolan Register however after the test and the health questionaire they turned me down because I had surgery for Ulcerative Colitis a few years ago. However, my husband, Steve was accepted (3 months before his 40th birthday - just in time phew!) and as my son is now 18 I am going to give him the talk myself - I know he'll want to help. I may even persuade him to get his mates to go with him. They play in a rock band, Hotel Zulu (on msn if you have a chill out day and fancy checking them out) and have already played a gig for the Teenage Cancer Trust in memory of a friend. I've signed your petition and will email my friends and ask them to do the same. I'm so impressed by your actions, the issue aside - it's about time young adults were targeted for campaigns. They will make a huge difference to the register and it's good to know that someone has trust in them to do the right thing. My teenagers are fantastic and I know that there are many thousands of others who are suffering from the bad press that others have provoked. On a personal note Adrian, I truly hope your hard work comes to fruition in time for you to take the credit. My thoughts and those of my family are with you -Good Luck. My mates and I did develop a certain sense of social responsibility at that age - along with the incredible capacity to drink anything vaguely alcoholic! How much sooner would I have decided to join the bone marrow donor register had I have received a talk, like that which you're proposing, in sixth form. I reckon I'd have had the maturity to make a lasting commitment, too. My 4th son is now home following some more GVHD and is doing well. Just wanted to let you know that the campaign for the 17,000 will continue onwards and upwards until everyone has the possibility of a donor. Thankyou for coming on the programme once again. I've finally signed the petition and I'm asking everyone on the programme team to do the same. Been away up a mountain in Switzerland for a few days - desperate to catch up on your news, sorry you have been throwing up, not so good eh? Meant to say a few days ago how grateful I was for your insight into the brother/sister relationship at a time like this. My husband's sis finds herself in a similar situation to you, and he worries that he is saying or doing 'the wrong thing' or not being supportive enough or even that as a protective big brother he cant take her pain away. Will get him to read what you wrote - it will be a real help for him to learn from your writing what it feels like to be the sibling going through the crap situation. May your energy continue for as long as possible, you are making a difference that will remain for always, and most of the rest of us will never be able to say that. I have been following your blog for some time now and am literally lost for words (probably a first for me!). Not only have I been stunned by your determination, wisdom and courage but the comments which others have left for you has restored my faith in people. There really are some good and honourable folk out there. They have expressed my sentiments more eloquently than I could, but I do have a suggestion which might be practically helpful to your campaign. Have you considered contacting Julie Walters? I'm pretty sure that her daughter had leukaemia as a child and from meeting her some years ago, I know she is a a warm and approachable person. Obviously she has a high profile and if you could get her on side, it may be useful. She used to be a nurse and so she will also have some background knowledge about the illness and the donation difficulties. Hope this is of some use and please know my friend, that you are in my thoughts and prayers and I am sending you a massive spiritual hug. It would be great if you could talk the 'celebs' into signing the petition. To date, Victoria Derbyshire seems to be the only one that has. Also, wouldnt it be great if bone marrow donation events could be set up on same date in every UK City? Celebs could be signed up to appear (and donate if poss) in different cities to encourage attendance. I know this would take phenonmenal organisation but if it was successful, perhaps it could become an annual event. 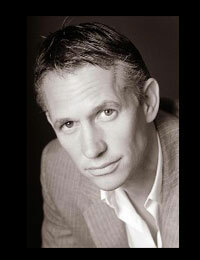 Great interview with Mr Lineker, what a great achievement to get him on board. Fantastic news that the government are listening. Lets hope they go the extra mile! I hope that you are feeling a little better. Keep smiling, thinking of you. You are riding the wave in style, and speaking for all of us coping with GVH and the illnesses that prompt such an invasive and desparate treatment. I follow your reports from the front lines with strong interest and occasional laughter. i've only just visited this website. i'm 16 and don't really know about bone marrow donation. now that i have read some of your blogs i have a better understanding but i think you are right about educating young people because most of my friends don't really know about what's involved in donating blood and bone marrow. i've signed the petition and would really like to know more about becoming a donor. This page contains a single entry by Adrian Sudbury published on June 16, 2008 11:18 PM. Sign up and maybe save a life was the previous entry in this blog. Adrian's Radio 5Live Interview is the next entry in this blog.